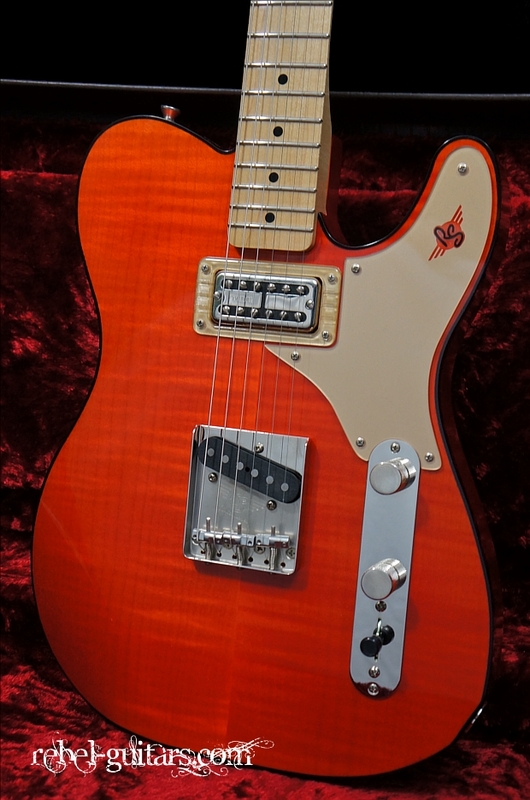 The Rockabilly Series is based on a classic body style-with added contours for a more comfortable feel in the guitars. 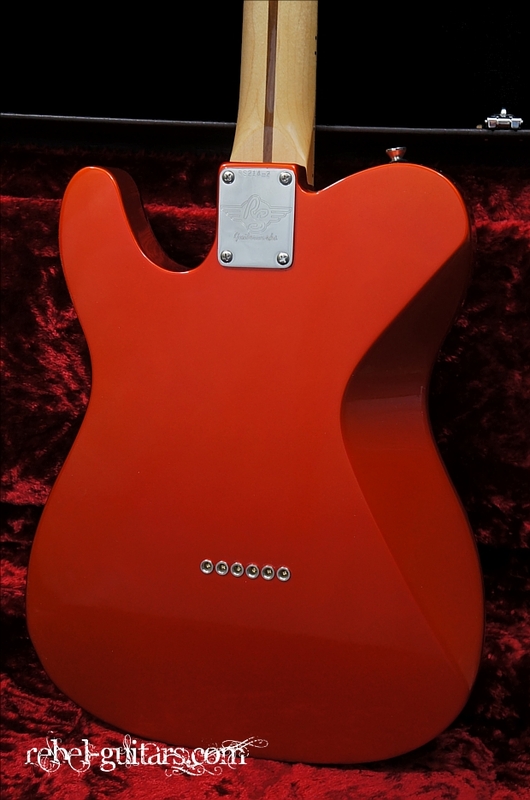 From there, RS added TV Jones pickups and a custom 60s inspired back painted pickguard with clear RS log to show the body color. 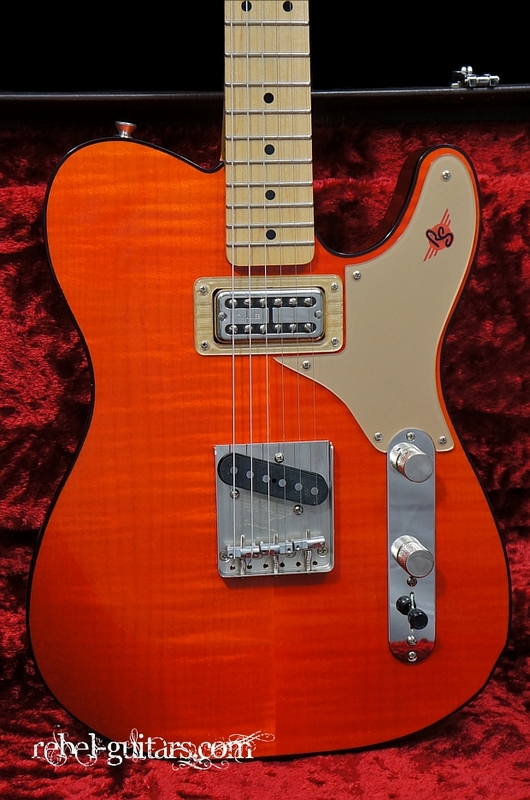 The Rockabilly series guitar is made with striking looks, while keeping a very raw classic tone. 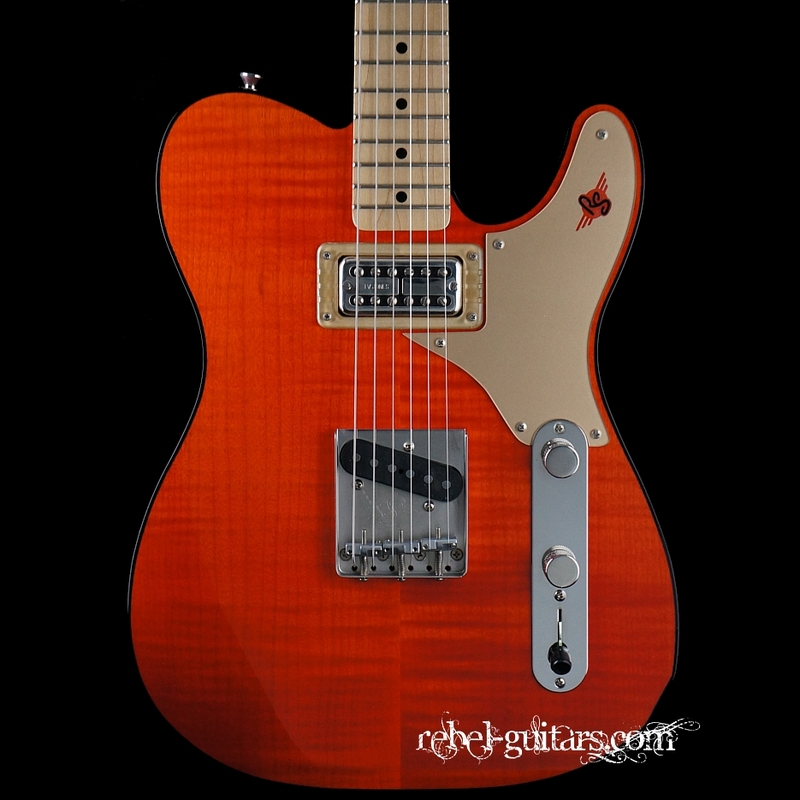 RS worked hard to arrive at the perfect wood combination that make these guitars very special with a tone all their own. 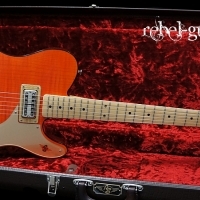 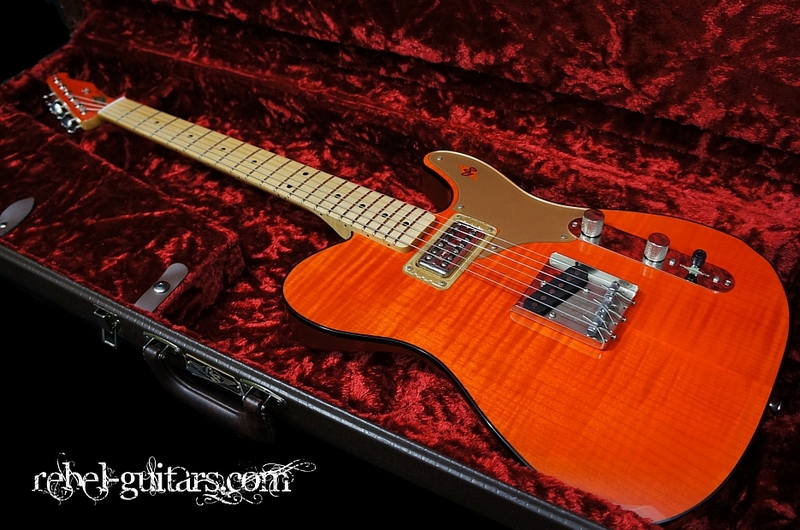 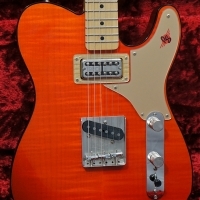 This Rockabilly Custom features a bound Pine body with a beautiful Flame Maple top finished in Burnt Orange, matching headstock and a Fat U shaped Maple neck. 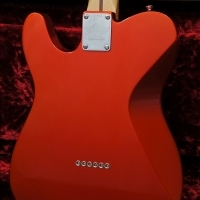 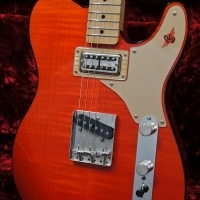 Pickups are a Lindy Fralin Custom Broadcaster and a TV Jones Classic.